In celebrity attends sports minister – Miroslaw Drzewiecki. Boss of department of state underlined that all of actual preparations are compliant with timelines and guidelines of UEFA. He said that strained schedule of investments , make big mobilizations of accomplishers. Sport Minister said that organizers of Euro 2008 „went on minimum” if it’s about building of objects and they’ve done it with smallest possible cost. Drzewiecki underlined that Poland depend on that stadium built for championship will serve for society many years. He said that Poles and Ukraine very depends on that the project will be a national event. Main Architect of Metropolitan City of Warsaw – Michael Borowski Said that result of „stilting” of terrain serves to verification of Project so in order to do it as well as it’s possible and with smallest costs. My following comments, from a number of decades in Project and Construction Management on multi-billion pound projects in Scotland, England, Wales, Poland, Egypt, USA and the Kingdom of Saudi Arabia, is that Poland has a massive undertaking ahead. However, do not underestimate the determination that the Polish nation has in overcomming difficult challenges. 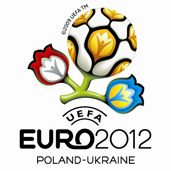 Providing the highest echelons of the Polish goverment become focused, together with local area leaders in Warszawa, Gdansk, Poznan, and Wroclaw; seek the correct assistance from experienced top western professionals, then the Euro 2012 will be accomplished to the desire of President Platini and his team. However, if that resolve is not maintained for the next year or so, then President Platini will have no alternative but to move the Championships to another country. Such a situation would have dramatic negative repercussions on many aspects for Poland and become a disaster for the Polish team who worked towards the goal in achieving the Polish Ukranian partnership for Euro 2012. One can but hope, that the historic mobilisation of the mind shattering speed in which the largest trade movement was formed in the history of the world – Solidarnosc – will become the example of the energy and enthusiasm to translate the football spirit into the effort which needs to be achieved to bring the opening of the Champioship to these two historic countries. A wiec – do roboty bez zadnych wymow ze to lub tamto nie jest mozliwe! (And so – to work without any excuses that this or that can’t be possible!) RPS Construction Services Limited, Newmarket, England.